This week watch manufacturer URWERK has unveiled a very unique new watch and atomic clock inspired by the sympathique built by Swiss watchmaker Abraham-Louis Breguet in 1793. Inspired by the spirit of Breguet’s inspiration of more than 220 years ago URWERK has designed and is producing the very first master-slave clock and wristwatch. The Urwerk AMC Clock and Watch pairs an atomic tabletop clock with a wrist-bound timepiece via a “complex mechanical linkage”, duplicating all of the functions of Breguet’s most advanced sympathique clock in one device. 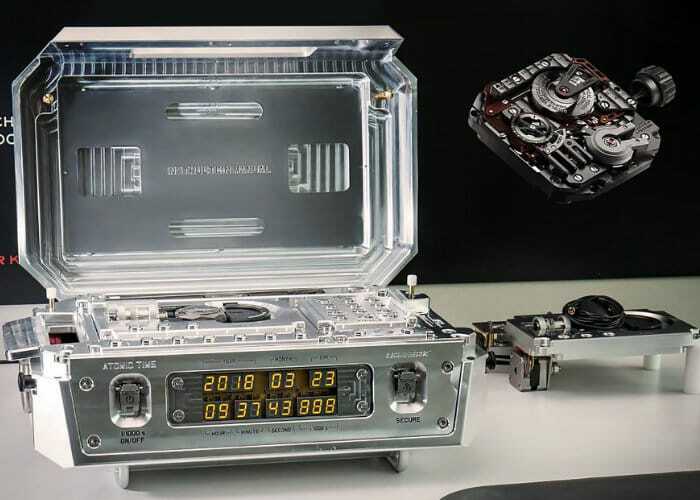 The atomic master clock component of the URWERK AMC weigths approximately 35 kilos and the case is in solid aluminium. No information on pricing or worldwide availability has been released as yet by URWERK, but as soon as information comes to light, we will keep you updated as always. 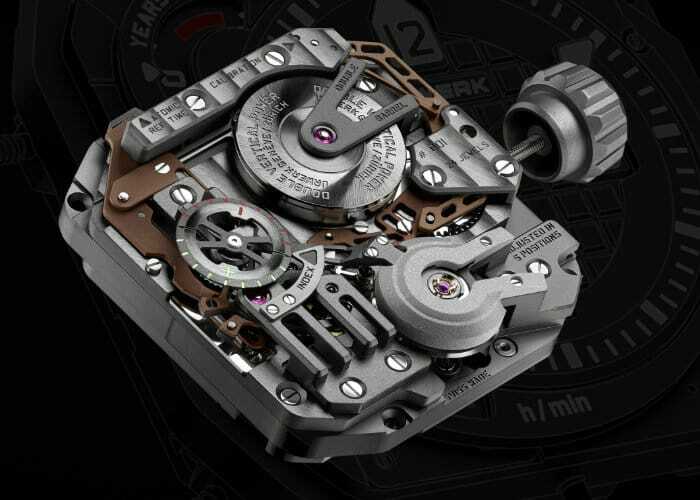 In the meantime jump over to the official URWERK website by following the link below.